Digital asset management software works best for marketers when content is centralized within a single location. 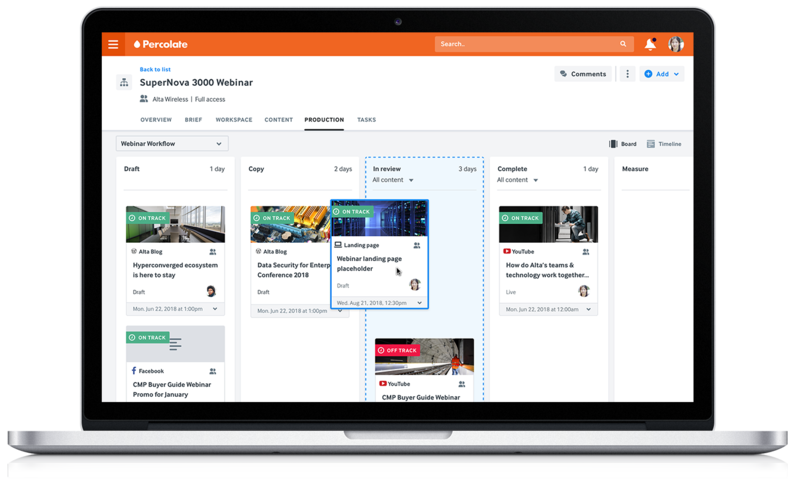 Percolate’s DAM solution addresses upstream planning, collaboration, and production challenges by making content easy to find and intuitive to share. Integrate digital assets into marketing workflows to increase efficiencies and decrease marketing waste with collaborative sharing built on existing hierarchical team frameworks. Percolate’s Services Team facilitates the transfer of legacy, public cloud, and local assets to ensure that all existing folder structures and metadata are properly configured for simple search and retrieval.